PTSD symptoms are a significant cause of memory loss.Most of us are very aware that trauma can cause us considerable anxiety. People who have personally been exposed to a life threatening event or have been confronted with the potential loss of a loved one usually develop acute stress. This acute stress, if it persists over a month, can developed into Posttraumatic Stress Disorder (PTSD). In the United States the lifetime incidence of PTSD sympoms among men is 5% and women is 10%. Thus, women are at greater risk of developing PTSD. Among our service members returning from the recent wars in the Middle East, 14% of veterans currently experience PTSD. 19% of Vietnam veterans have met the criteria for PTSD during their postwar lives. PTSD symptoms and memory loss often go hand-in-hand. While the acute stress and shock of trauma often occurs instantly, symptoms of PTSD can develop more slowly over time. The trauma may lay dormant and then emerge when triggered by some other event. This is referred to as “delayed” onset. PTSD symptoms often persist and can cause significant problems in our marriage, social relationships and of course our occupational life. What is often not known or discussed is the significant impact that PTSD symptoms can have upon our memory functioning. 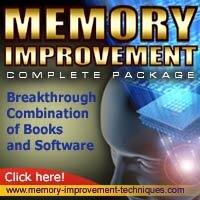 These problems of memory loss can contribute to increased anxiety and the sense that we are “going crazy.” While the symptoms of memory loss are often debilitating and quite annoying, there is no evidence that they will become permanent. You are not developing dementia. An area of concern in the military is the overlap of PTSD with TBI. This has been referred to by some as the “signature injury” of the Operation Iraqi Freedom and Operation Enduring Freedom (OIF/OEF) (Warden, 2006). Thus, the shared characteristics of TBI and PTSD have been studied extensively. Memory problems and other problems of thinking can occur with the development of PTSD. It is important to rule out the effects of trauma on memory loss. This form of memory loss associated with trauma is reversible with proper diagnosis and quality treatment.